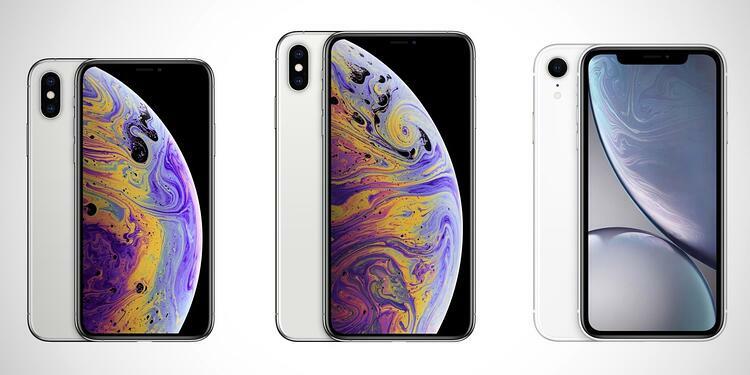 [UPDATED] Apple has cut production of its three new iPhones - the XS, XS Max and XR - due to lower than expected demand, but insists XR is its best selling iPhone ever. iPhone XR popular or not? A lower-than-expected demand for the new iPhones, and Apple's decision to offer more models spreading demand thin, has been blamed for the production cuts. The iPhone XR - the lowest priced of the three new models at AUD$1299 (US$749) - has been reported by various market analysts as the model hardest hit by low sales. They believe that Apple has cut 30 percent off its production plan for the XR equating to about 21 million units. Apple has hit back at these reports however saying the iPhone XR is their most popular model and has sold more than any other model each day since its launch in the US two months ago. Apple shocked investors a few weeks back with a sales forecast for the Christmas quarter which was below Wall Street expectations. The announcement prompted several suppliers of Apple iPhone components issue warnings of their own. These included Lumentum Holdings — a company which supplies the iPhone's facial recognition technology; and iPhone screen maker, Japan Display Inc .
Apple's share price dropped by 4.8 per cent to $US176.78 last week following the Wall Street Journal story. It has fallen by more than 20 percent since October 2018, and has wiped out all gains from the past six months. 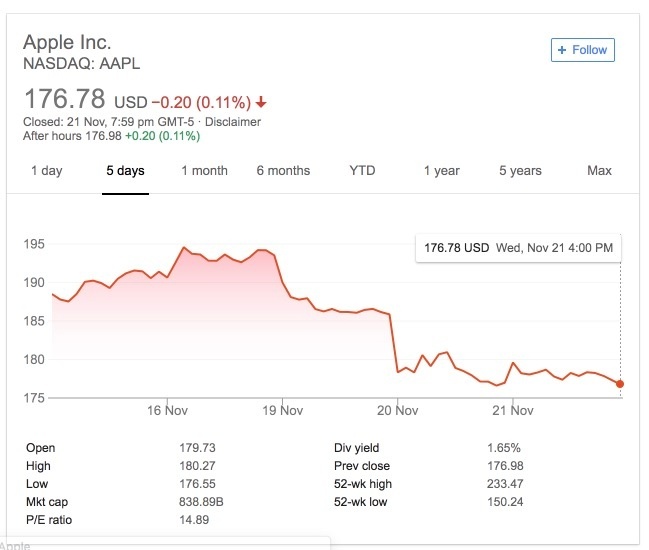 On Tuesday 20 November, Apple's market value dropped $US50 billion in a single day. "Apple iPhone XR Sales Are A Surprising Mystery" was the headline in Forbes on October 21. The article noted that the iPhone XR was the first iPhone in history NOT to sell out within hours of going on sale. In the 11-year history of the iPhone, online shipping dates have slipped from days to weeks often in minutes - as the sales roll in. It took five days before the iPhone XR appeared to 'sell out' and even then it was more of a delay (by 1-2 weeks) than a sold out state. The iPhone XR - being markedly less expensive than the other two new models - was expected to sell more than the iPhone XS and iPhone XS Max combined. That trend has now apparently gotten much worse as discounted pricing is added to production cuts. Apple is apparently planning to discount the smartphone in its Japanese market - no word on this extending to Australia or any other market at this time. Japanese carriers will use subsidies from Apple to discount the cheapest new iPhone, after an underwhelming launch. eBook: What is a Managed Mobility Service?